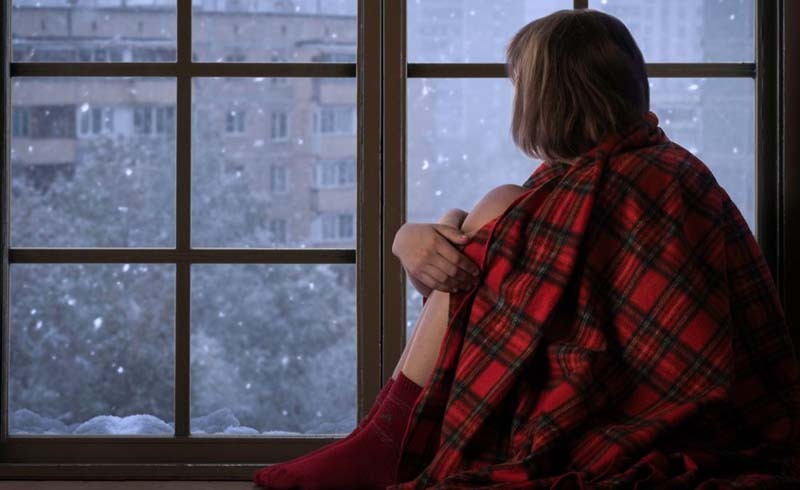 Seasonal affective disorder (SAD) is a type of depression that’s triggered by the change in seasons, and per the American Psychiatric Association, it affects roughly 5 percent of U.S. adults. But even if you aren’t officially diagnosed with SAD, it’s common to feel down after trudging through wind, ice and sleet in the dark for months. 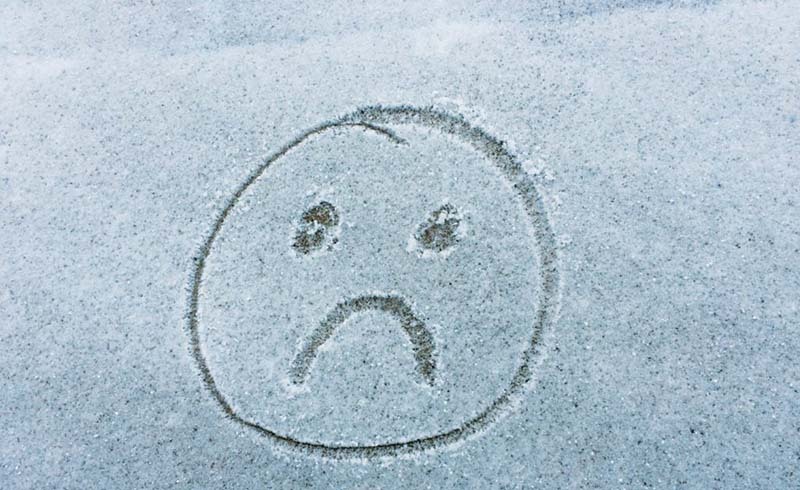 We checked in with Barbara Nosal, PhD, chief clinical officer at Newport Academy, for her six tips for combating the winter blues. Whether you roll a skin-safe blend onto your wrists or diffuse them with water vapors, essential oils can be a powerful tool for perking up. Not sure which to use? Different oils can be used for different things. Dr. Nosal says that citrus-y oils are energizing, while scents like lavender are calming and soothing. Dr. Nosal says that spending time outside helps regulate hormones and neurotransmitters that have strong effects on mood, behavior and the body’s natural rhythmic patterns. Cool, but not super helpful when it's snowing and freezing and all you want to do is stay in bed. Luckily, you can reap the positive effects of sunlight by filling your living and working spaces with natural light. So before you sprint to the kitchen to make coffee in the morning, make sure to throw open all of your curtains and blinds. In the event of a cloudy day (it's the middle of winter, they happen), consider investing in a light therapy box (like this one from Verilux), which gives off light that mimics natural sunlight. Dr. Nosal says that this "naturally stimulates the body’s circadian rhythms and suppresses the release of melatonin." She adds that exposing yourself to natural light for about 30 minutes a day has been found to be beneficial for those with SAD. Done and done. Cognitive behavioral therapy, or CBT, is a treatment that involves brainstorming practical solutions for your problems. It's less about stopping winter blues from happening and more about learning how to manage the symptoms. "CBT teaches people how to identify and change their negative thoughts and behaviors that contribute to feelings of depression," Dr. Nosal explains. "Learning positive coping skills for healthy stress management helps alleviate the symptoms of SAD." This seems like a no-brainer, but in the depths of winter, it can be really tempting to veg out 24/7. But don't cave into the temptation: Spending time with friends or keeping up with hobbies, per Dr. Nosal, fills "an intellectual, creative or social need, as well as builds self-esteem and self-confidence—bolstering against or lowering the intensity of SAD symptoms.” So basically, resist the overwhelming urge to hibernate until spring and don't bail on the next happy hour.